The Alexandria Police Foundation was founded in 2002 by then Chief Charles Samarra and a group of private citizens in the City. These citizens were dedicated to assisting police officers and the department by initiating, supporting and funding programs to improve the performance and effectiveness of the Police Department. The foundation was originally founded to provide health insurance for retired K9 dogs. 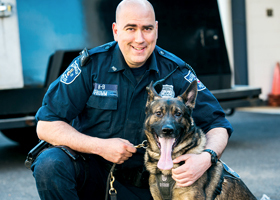 Over the years, the foundation has also funded such initiatives as paying for instructors for specialized training, sponsoring family oriented events for officers and purchasing plaques and pins for special events. In 2011/2012, the foundation was asked to help raise funds for the building of the new Police Memorial. With this new project, the foundation is exploring new avenues to raise funds for the department and the memorial.